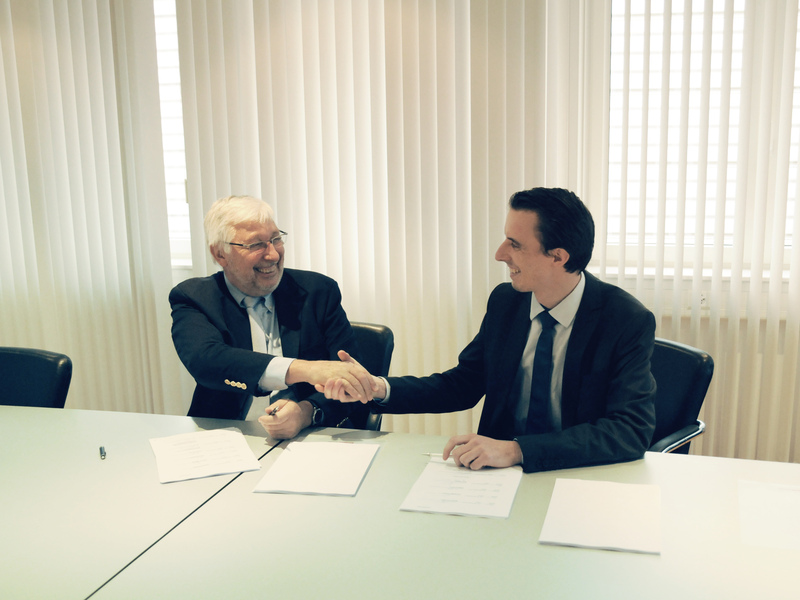 On November 15, 2013, the purchase contract between Anton Paar GmbH and CSM Instruments SA was signed. CSM Instruments SA will continue under the name "CSM Instruments SA | A company of Anton Paar" at the present location in Peseux (Switzerland). The purchase of CSM Instruments represents a further acquisition in the history of Anton Paar GmbH. Anton Paar is the world leader in the field of density and concentration measurement, the determination of dissolved CO2, rheology and the material characterization of surfaces. Its customers include the largest soft drink and beer manufacturers in the world and companies in the food, chemical, petrochemical and pharmaceutical industries. Established in 1922 as a one-man locksmith's workshop in Graz (Austria), the company has consistently explored new paths and combined research with high-precision manufacturing. Today Anton Paar develops highly accurate laboratory instruments, process measuring instrumentation and custom-tailored automation and robotics solutions for quality control. Around 20 % of the annual turnover is invested in research and development. Anton Paar GmbH, with its headquarters in Graz, Austria, and 20 – now 21 – subsidiaries worldwide, is active in more than 110 countries. Over 1800 people work in the Anton Paar Group. In 2012 the turnover was 190 million Euro. Since 2003 Anton Paar GmbH has been owned by the charitable Santner Foundation. The foundation is exclusively and directly dedicated to charitable and beneficent causes. Dr. Friedrich Santner, CEO of Anton Paar GmbH: "Both companies have expert knowledge which has been built up over several decades and longstanding experience in the development and manufacture of precise high-tech measuring instruments. We complement each other, for example in the fields of material characterization and tribometry. The acquisition of CSM Instruments results in an excellent extension of our product portfolio." CSM Instruments SA develops, produces and sells laboratory instruments for the characterization of mechanical properties on material surfaces at the micro- and nano-scales. Its renowned and globally active customers are found, for example, in academic research, the automobile industry, in the field of environmental technology, in life sciences and among tool manufacturers. CSM Instruments, spin-off of CSEM in 1999 (Centre Suisse d’electronique et de Microtechnique), has been developing instruments for more than 40 years and has over 60 employees worldwide today. Jacques Francoise, current General Manager of CSM Instruments: "CSM Instruments is a leader in materials testing equipment at the nano-scale and well-located in the heart of the world-renowned Swiss watch industry, a micromechanics excellence center. A further benefit of the company site in Peseux is its close proximity to universities and research institutes in Neuchâtel. I am proud that an innovative as well as value-oriented high-tech company like Anton Paar has acquired CSM Instruments. Anton Paar, which is known for its strong corporate culture, with an employee-oriented attitude and its excellent product portfolio, will consolidate the future of CSM Instruments a on a long-term basis." The new General Manager of the 100 % subsidiary is Dr. Christoph Ebner, Business Development Manager at Anton Paar.